Carnelian is rich, warm red hues characterise the carnelian, which was named because of its stunning colour. There is some dispute as to where the name carnelian originates. Some believe it’s derived from the from the Latin word cornum, that describes the red fruit of the cornel cherry. Others believe it comes from the Latin word for flesh. But either way, they both refer to the intense red colour of the stone. Carnelian is a silica mineral of the chalcedony group. It measures around 6.5 to 7 on the Mohs hardness scale, so it is fairly resistant to daily wear and tear. Its blood-red colour is due to iron oxide being present in the stone. 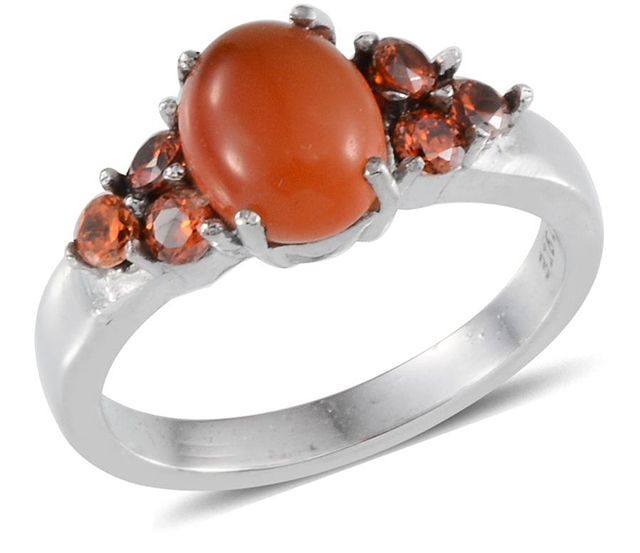 Carnelian has been used throughout history, as people believed it had mystical powers. It was prized in India and Tibet, where it was believed to give the wearer special powers. According to the Egyptian Book of the Dead, carnelian should be placed in tombs as 'magic armour' for the afterlife. Others believed the stone could calm hot tempers by ‘stilling the blood’.